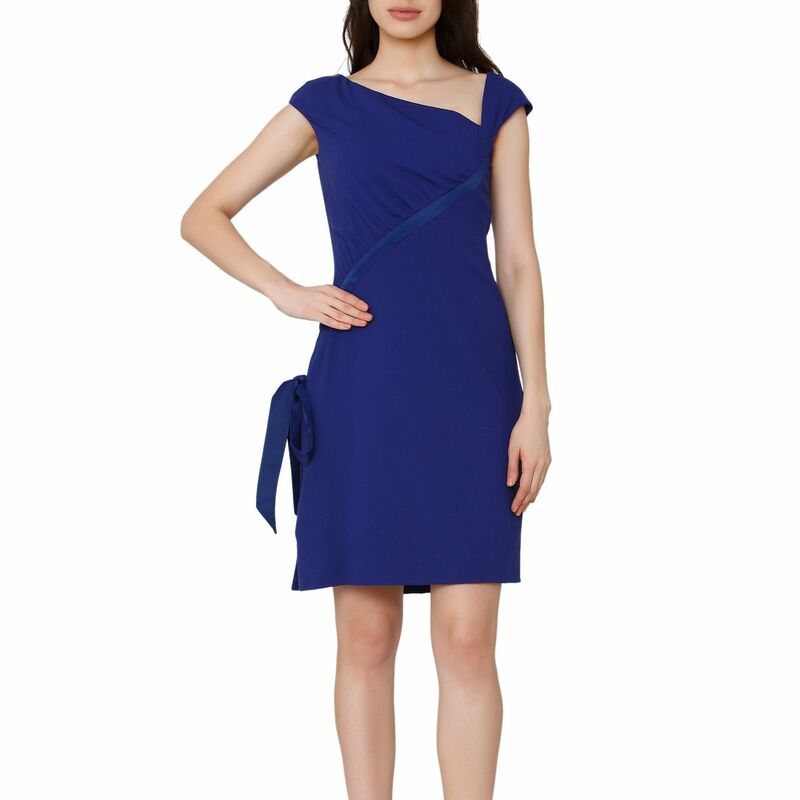 Blue Valentino virgin wool knee-length sheath dress with asymmetrical V-neckline, silk trim throughout, tie accent at hip and concealed zip closures at side and center back. There is a pulled thread right above the silk trim in the chest area. The stitching below the silk tie is opening up. (This is a minor flaw and can be fixed easily). 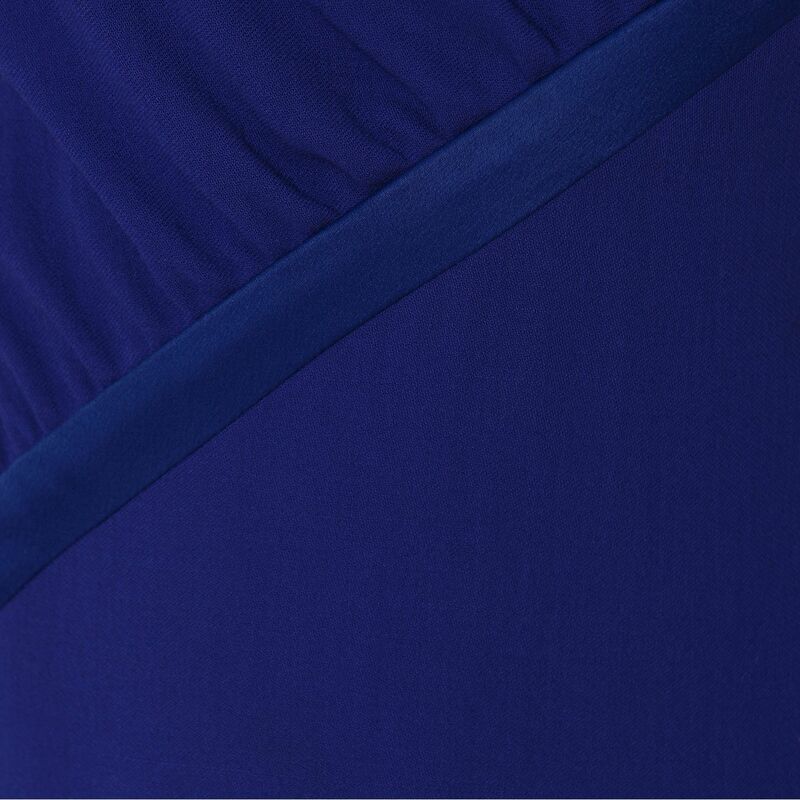 The silk trims have minor discoloration. LabelCentric is not affiliated with Valentino. We guarantee this Valentino item to be authentic ( find out how ). Valentino® is a registered trademark of Valentino.